Members of the Cape May Tech swim team celebrate their first-ever state playoff victory Tuesday. 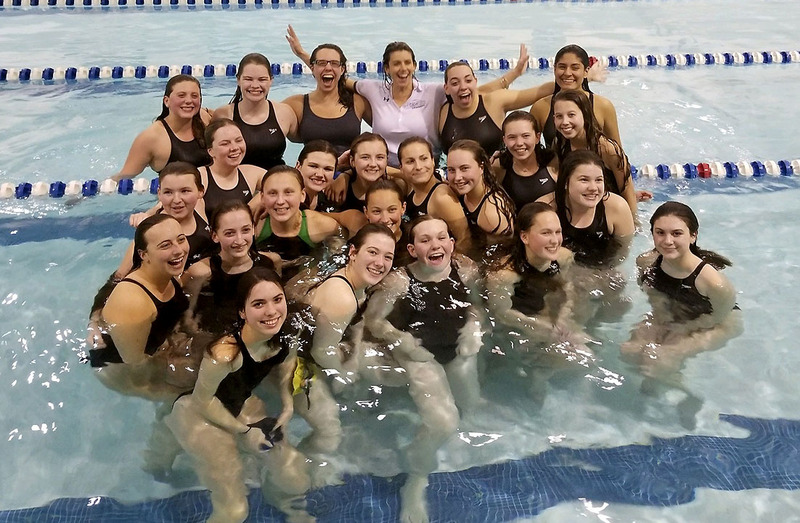 CAPE MAY COURT HOUSE — Cape May Tech’s girls swimming team made history Tuesday afternoon. The Lady Hawks won their first-ever state playoff meet, taking down Cedar Creek, 93-77, in the opening round of the South Jersey Group C playoffs. The boys team was also in playoff action and dropped a 92-78 decision to Schalick. Sophomore Lindsay Robbins was part of four first-place finishes to lead Cape May Tech in the girls meet. “Everything Lindsay touched was gold today,” Dudley said. 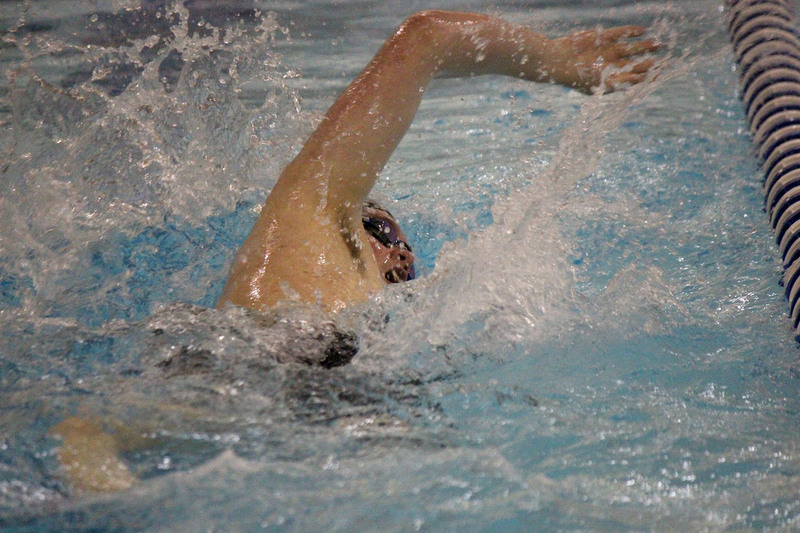 Robbins won the 200 and 500 freestyle races and was also part of two winning relay teams. She joined Cameron Muir, Savannah Bruno and Alyssa Hicks in the 200 freestyle relay and was teamed with Muir, Bruno and Ruby Redmond for victory in the 400 freestyle relay. The 400 free relay team set a new school record time of 4:12.48, shattering the previous school record time in the event from 2014 by 5½ seconds. 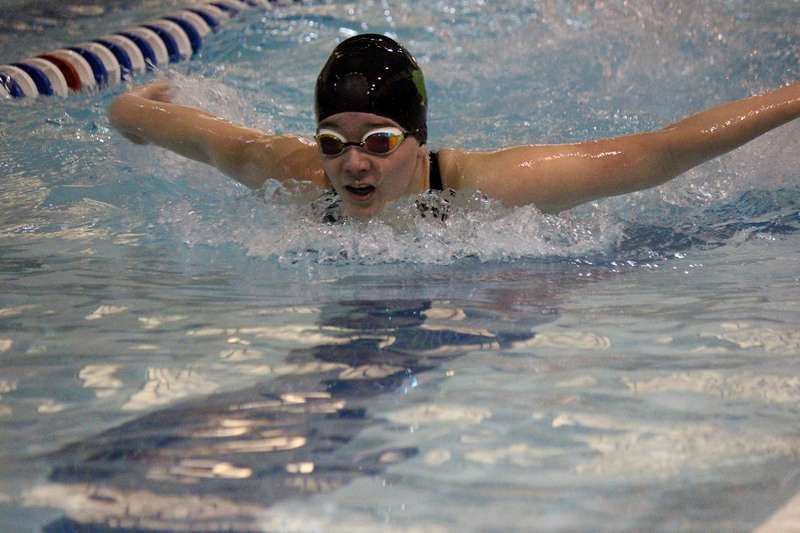 Freshman Emie Frederick placed first in the 100 breaststroke for Cape May Tech, which improved to 5-2 on the season. Following the 400 free relay victory, Dudley joined Tech’s swimmers for a celebratory leap into the pool. The Tech girls, seeded sixth in the tournament, will travel to No. 3 Woodstown for a second-round meet on Friday. In the boys meet, Schalick jumped out to a 22-8 lead after two events. The Hawks could never fight their way back. 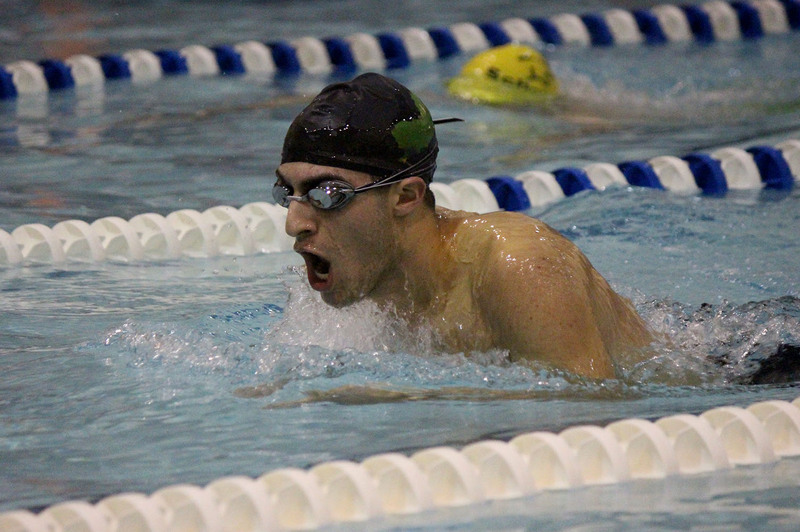 Junior Anthony Paluch posted his best times of the season in the 100 butterfly and the 50 freestyle. 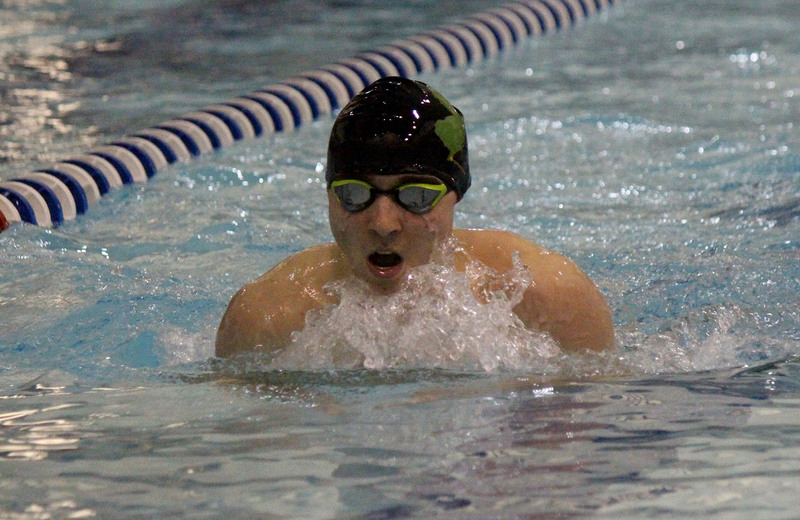 Jerry DiAntonio and Justin Lee placed first and second, respectively in the 100 breaststroke and Corbin Sturgeon posted his best time of the season in a second-place showing in the 100 backstroke. And Paluch, Tyler Flynn, Chris Porto and Roman Voinea won the 400 free relay in a season-best time. “It wasn’t the ideal result but the guys swam well,” McElroy said. “A lot of guys swam their best times today. We just ran into somebody who was better. You kind of wonder how they were seeded below us, but they came down and beat us. The Tech boys finished the season at 8-2.